Northland Events Centre is a multipurpose sports centre and events. Compusoft Engineering were engaged to design the 96m x 21m fabric roof and associated steelwork over the grandstand and corporate hospitality areas. 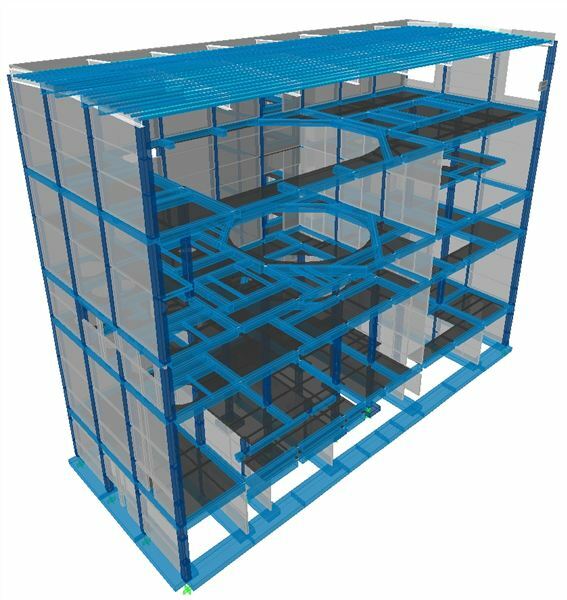 Work included scheme development, detailed design work, building consent documentation, co-ordination with external professionals and the production of fabrication drawings. A complex, sculptural staircase was conceptualised for a commercial building in Smales Farm in Auckland. Compusoft Engineering was contracted to analyse the staircase and ensure that design parameters were chosen so that it’s performance satisfied current New Zealand code requirements. The staircase rises four stories and consists of a number of helices and straight sections. The structure has solid balustrades and is only supported at its base and on the landings. It is constructed out of steel and assembled from sections on site. It is noted that in addition to the staircase satisfying the various limit states of the New Zealand Structural Design Actions code NZS1170, consideration was also taken as to the possibility of it being perceived as being ‘lively’. Consequently, a number of vibration checks were performed using state of the art finite element analysis program SAP2000. 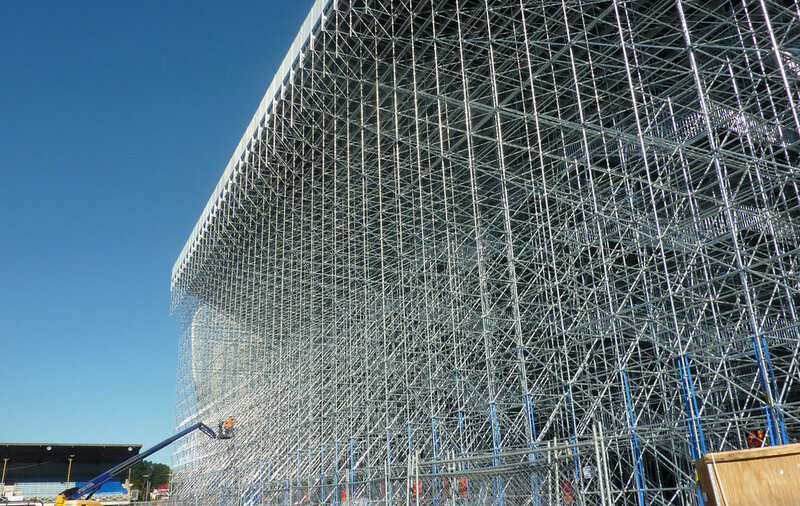 Compusoft Engineering was engaged to undertake an analysis of the temporary seating for Eden Park's temporary West Stand for the 2011 Rugby World Cup. The analysis scenarios considered dynamic behaviour and strength limit states for live, wind and seismic type conditions. The analyses consider the nonlinear behaviour of support uplift and member elastic buckling behaviour plus the limitations of the adopted proprietary connections. Analysis models were been created using state of the art finite element analysis program SAP2000. Compusoft Engineering was engaged to undertake the analysis and design of a rock anchored foundation intended to support a Wind Turbine with an 80 m hub height and located at the Snowtown Windfarm, South Australia. The structure is a reinforced concrete rock anchored foundation for a prototype wind turbine to be located at the Snowtown Wind Farm, which is situated approximately 180 km north of Adelaide in South Australia. The turbine shaft is comprised of a circular steel tower which is anchored to the foundation by a double ring of 160 post-tensioned holding down bolts embedded in the reinforced concrete foundation. The foundation consists of an octagonal reinforced concrete pad anchored to the ground by eight post-tensioned cable anchors. The cap is octagonal in shape, with the dimension across the flats being 7.2 m. The eight anchors are situated so one is located along each of the lines running from the centre of the cap to the apex of the corners. Each anchor consists of thirteen 15.7 mm nominal diameter prestressing strands with a minimum breaking stress of 1860 MPa, and has an unbonded length of 10 m below the anchor head. The anchors were initially be stressed to a force of 2660 kN, which has been estimated to result in a final prestress level after all losses of 2250 kN. 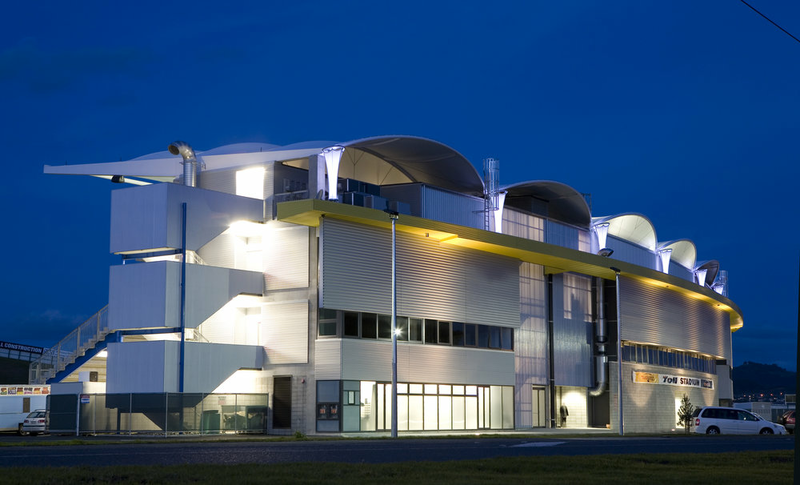 Compusoft Engineering Limited was engaged to assist in the seismic design of the drier building that forms part of the Fonterra Milk Powder Plant at Pahiatua, New Zealand. Assistance was provided in 3 distinct phases; (1) Seismic analysis of the drier building, (2) determination of suitable parameters for proposed isolation bearings for the building so that it would perform in a manner that satisfies the requirements of the New Zealand Building Act and (3) overview of the prototype and production testing regimes for the selected bearings. The seismic analysis of the building, including; the modelling of the building and isolation bearings, site classification selection, selection and scaling of earthquake records, created computer output for the design and verification of the performance of the structural elements. The nonlinear response history seismic analysis of the structure was undertaken using the finite element package ETABS.